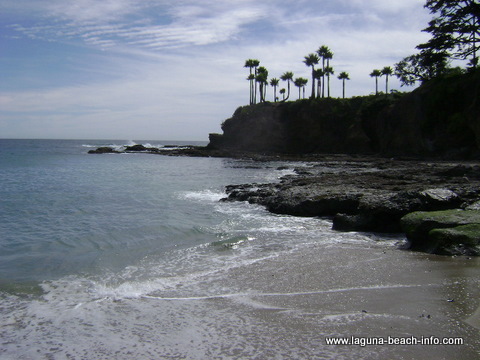 Snorkel or scuba dive this amazing underwater paradise in Laguna Beach! You'll find an amazing underwater paradise awaiting you just offshore at Shaws Cove! The marine life here is prolific, with schools of various species of fish, bright orange garibaldi, anemones, urchins, and even the occasional octopus or eel if you are lucky enough to sneak up on them! 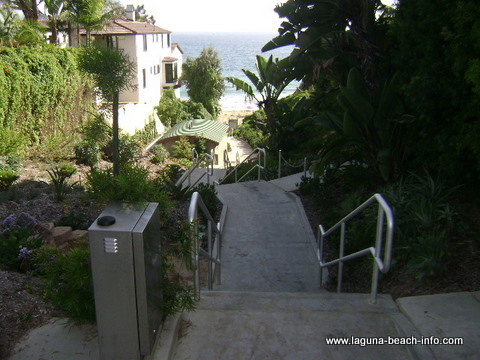 (Beach access stairs) Getting down to sand at Shaws Cove is pretty easy- beach access only requires a few easy stairs, then traverse the sandy beach to enter the water. You’ll find great diving at Shaws Cove on either side. Most people primarily dive the right side and if you continue around the rocks you’ll find some channels and caves to explore and look for eels or octopus. I recently snorkeled the right (East) side and found it densely populated with marine life. The waves can push you around a little bit, so be careful as you explore near the rocks. Visibility varies so you may want to check local conditions before you go, but if you’re visiting- just get out there! With all those critters you’re guaranteed to see some fun stuff! 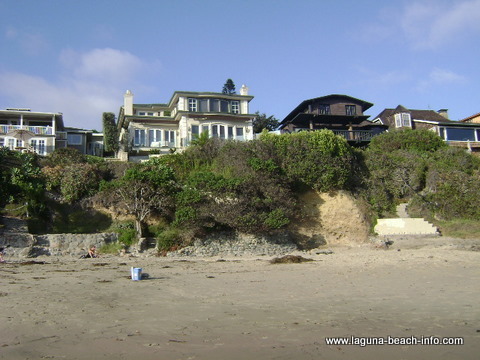 (Houses above Shaws Cove) As with most beaches in Laguna Beach, incredible homes are nestled in the cliffs above Shaws Cove. There is limited free parking near Shaws Cove on Cliff Dr and adjacent side streets, just be careful to not block anyones driveway. You can also usually find additional metered parking on Coast Highway. 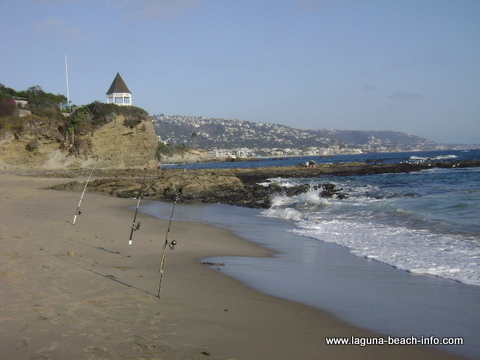 To get to Shaws Cove from Main Beach in Laguna Beach, travel North on Coast Highway. Turn left on Fairview St, and you’ll see the beach access directly ahead. 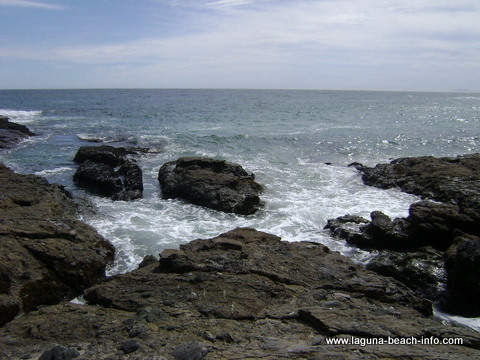 Laguna Beach Info Home Page.